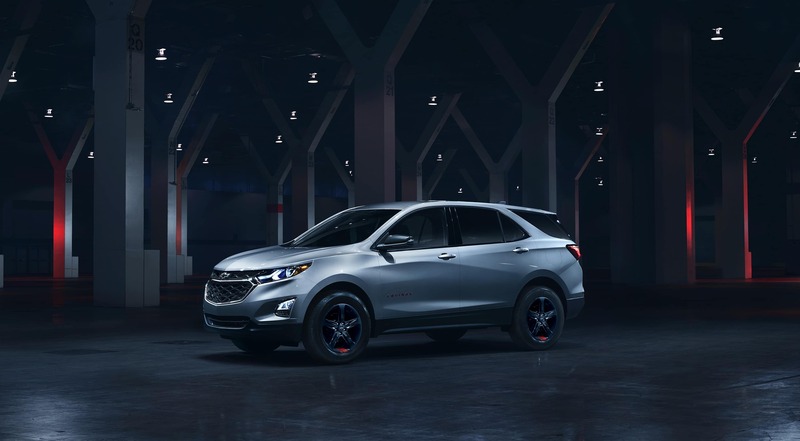 When Chevrolet decided to improve its popular SUV, the result was the 2018 Chevrolet Equinox in Chicago IL. More efficient and rich with features, it’s sure to become a driver’s favorite. Helping families, it has more versatility, utility and spaciousness. 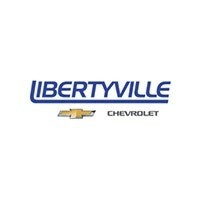 This Libertyville Chevrolet review can only give you an outline. To learn more, talk to our online staff serving Libertyville Chicago Illinois shoppers. 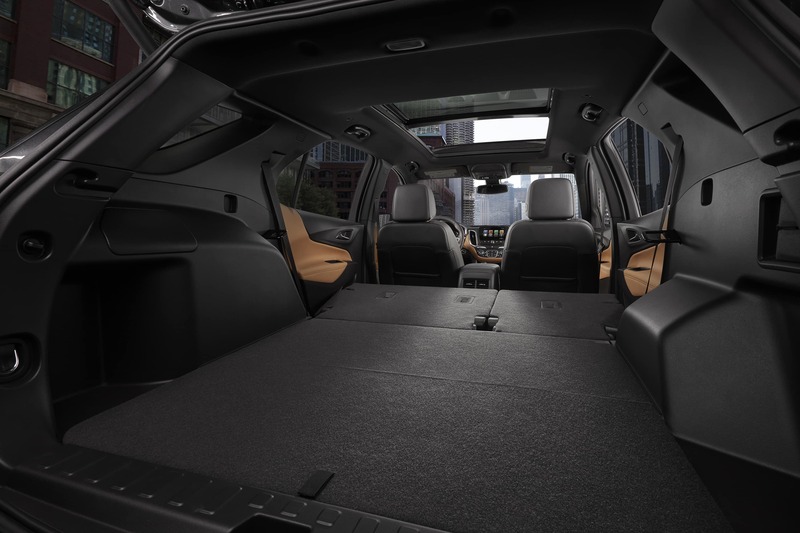 The new 2018 Chevrolet Equinox in Chicago IL is trimmer with a tighter turning circle for better drivability. While the wheelbase remains the same, keeping the cabin spacious, the overall length is shorter. The handsome, sleek exterior is more than window dressing. It was sculpted based on extensive time in a wind tunnel, leading to better aerodynamics. 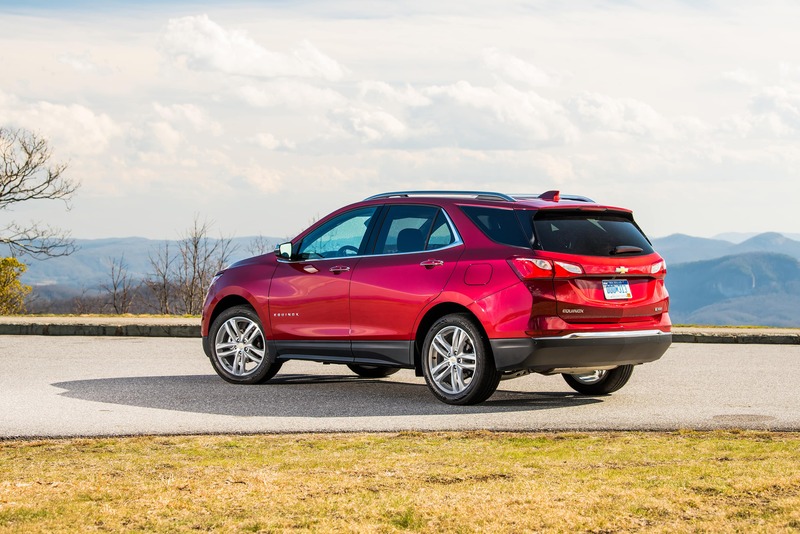 All of these changes allowed Chevrolet to reduce the Equinox curb weight by 400 pounds. Aero shutters keep the engine cool, but allow for better aerodynamics on the highway. Three sizes of aluminum wheels are available to reduce unsprung weight. Our online staff can explain more about the Equinox than we can cover in this review serving Libertyville Chicago Illinois area shoppers. The cabin has been refreshed with new elements like a dual cowl dashboard. The creative design includes more soft touches as well as contemporary technology like push button start. The new wider build has secured more shoulder room. A new middle row seat can slide forward to offer more legroom to the back. Winter weather is made more bearable with up to two rows of heated seats. The front offers power-adjusting and power-ventilation. This is also a trick for getting more cargo space without losing seats. The removable seat cushion helps you create a level load floor. With seats folded, users have 63.5 cu.ft. of space. A power liftgate is now on the menu. The Chevy MyLink system has the advantage of Apple CarPlay for iPhone users. For Android-based smartphone users, it has Android Auto. These systems add their own apps to the generous MyLink app list. Active noise cancellation adds to the quiet ride. Base editions also have WiFi availability, a great way to keep your family entertained while on the go. You can test all of these review features at Libertyville Chevrolet. While a six-speed is still standard, Chevrolet is raising the bar for its 2018 edition. 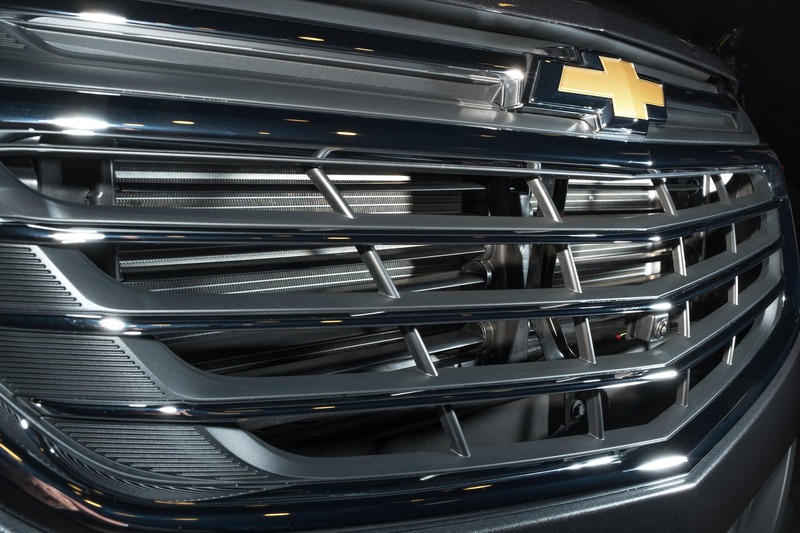 For the first time, this Chevy comes with a nine-speed automatic on one of its models. This gives drivers three more speeds to spread out gear ratios and improve precision. Stop-start technology shuts down the engine during long stops. It still maintains electric power for your heating and cooling needs as well as the audio touchscreen functions. When a driver lifts a foot from the brake, the engine responds and is ready when you touch the accelerator. A new all-wheel drive system is also aimed at creating more efficient travel. This switchable feature is capable of disconnecting from the rear axle when only front wheel drive is needed. Serving Libertyville Chicago Illinois drivers, the new Equinox AWD is prepared to help you out on a snowy day. 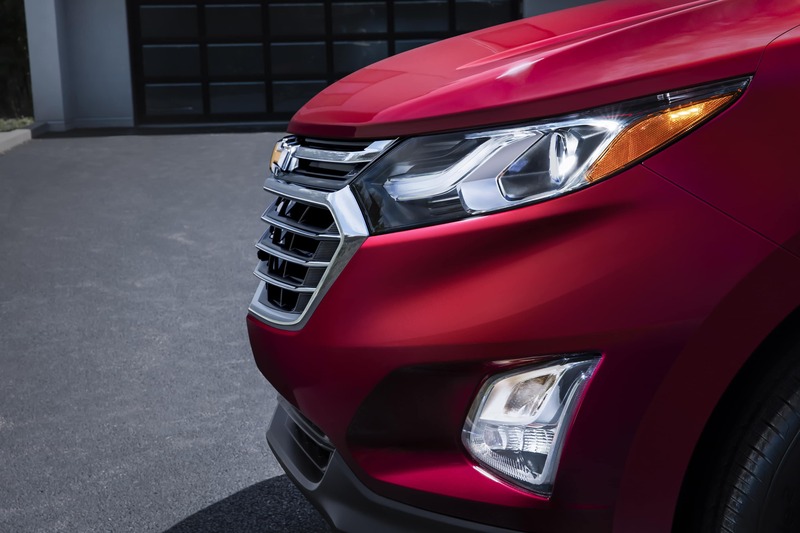 Aluminum block engines are one way that the 2018 Chevrolet Equinox in Chicago IL has slimmed its figure. Lightweight but just as tough, these come in three varieties. A new turbo I-4 generates more horsepower than before. It also pushes the torque rate up to 203 lb.ft. That’s a 30 lb.-ft. improvement over last year. New for 2018, a second I-4 turbo is more efficient than a V6, but it still churns out 252 horsepower and 260 lb.-ft. of torque. Equipped with the nine-speed automatic, it can definitely do more with less fuel. Directly replacing last year’s V6, it still tows 3,500 pounds. Leading its class, the SUV now has a diesel edition. This class-first engine generates 236 lb.-ft. of torque. It also improves highway efficiency by as much as 50 percent. Special engineering techniques keep it very quiet. The new lower curb weight also plays a role. Each horse under the hood can do more with fewer pounds to push. For 2018, improvements were made to prevent the engine from entering the passenger cabin. The steel frame has a frontal crash rail structure designed to stop major frontal impacts. A new low-speed autobrake can prevent accidents in slow-and-go traffic. A following distance indicator also helps you maintain a safe distance between your SUV and the leader traffic. You can now get the GM-exclusive safety alert seat to warn you about braking cars or urge you to straighten up in your lane. The lane keep assist adds more automation, tugging at the wheel to correct the SUV’s trajectory. A side blind zone system is strengthened by the lane change alert which sounds if you turn on the blinker and side traffic is too close for comfort. A rear cross traffic alert warns you to stop in parking lots when a car is coming. This is a natural partner to the rearview camera system. You can also get Surround Vision to show you the whole 360-degree car perimeter. For those with babies and toddlers, GM has a special rear seat reminder to urge you to check the SUV before exiting. For teens, there’s a parental supervision feature to encourage good driving habits in independent young drivers. 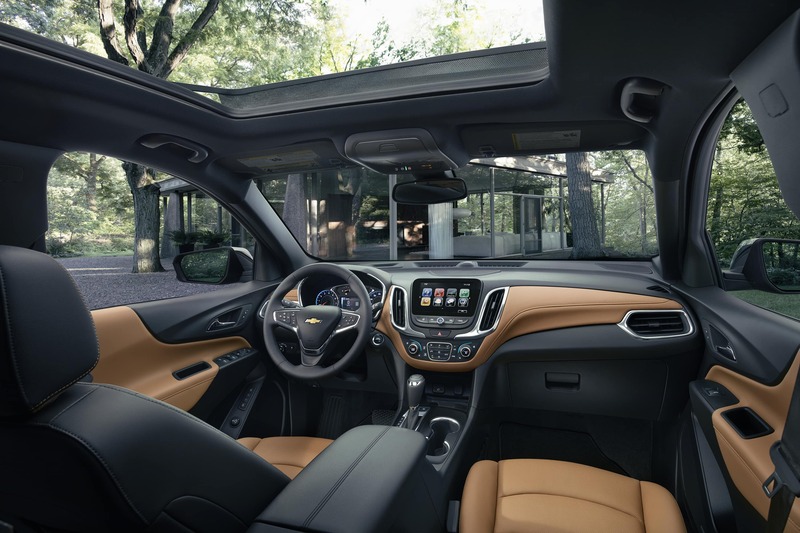 You can get a closer look at this all-new SUV at Libertyville Chevrolet.